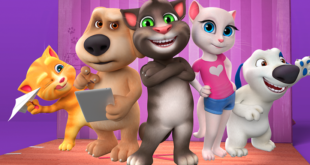 In just over five years, and only one year since crossing the two billion downloads threshold, Outfit7’s Talking Tom and Friends apps generate 250 million active users a month. Deals secured for property to enter Brazil, India, Malaysia and the Dominican Republic. We discuss how Talking Tom & Friends continues to grow, and how it is successfully using YouTube as part of the plan. The new series launched on April 30th. Series will launch on the digital platform as well as the YouTube Kids App on April 30th. New deals will see the Outfit 7’s brand span categories including food and beverage, publishing and back to school as it builds its fan base across the Asian markets. Launching in April, the series will follow the hijinks of Talking Tom and his group of friends as they make their own reality TV show. Franchise has already achieved over two billion mobile downloads and 1.4 billion YouTube views in just over four years. Bulldog secures deal with US clothing partner for Outfit7 brand.